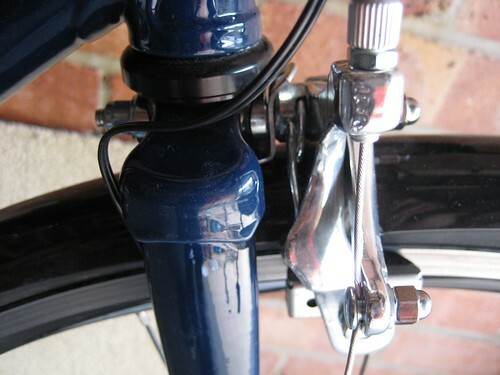 I have an old (not that old really - early 1980's) Raleigh Sensor. The frame is made of Hi-Ten steel. 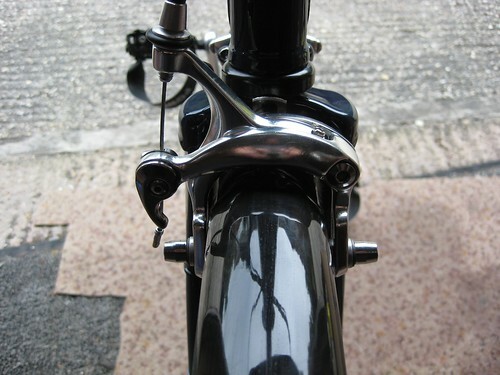 The problem is that I'm used to modern brakes now, so found the single pivot Weinmann Alesa brakes not quite up to scratch. So, armed with a power tool, some HSS drill bits and a set of Tektro dual pivots, I set to work. N.B. 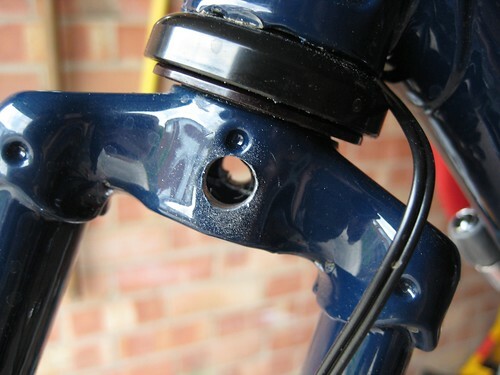 You only need to drill out the rear side of the crown. The front stays the same size. I wouldn't recommend this procedure on anything other than a steel bike. that's a silly idea when you have POWA TOOLZ!!! The best way to do that is with a step drill bit, looks like a cone. Me too - on my Aende road bike. Good nutted brakes were no longer available and it wasn't that difficult. Slightly harder at the back (seat tube in the way) but no great problem. What dp brakes are available nutted? I haven't seen any. Tektro and Alhonga, used to be one or two Shimano as well. 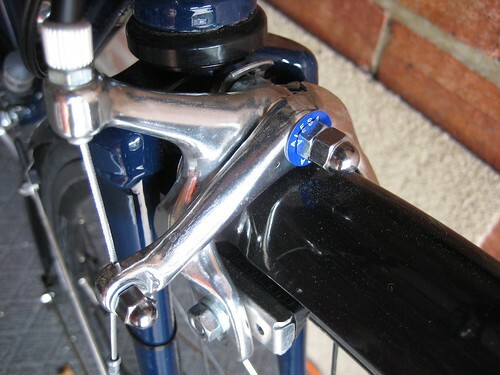 To be honest, rather than getting special brakes I'd recommend just modding the frame. 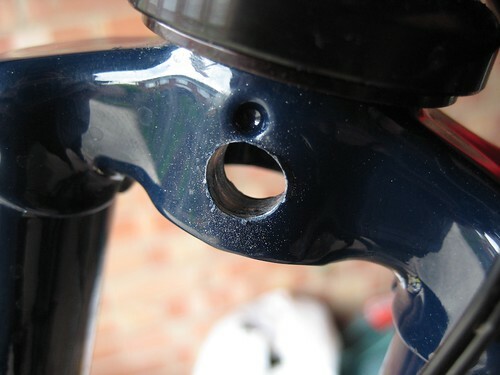 I've done it too and it's really easy - just drill out a couple of holes. 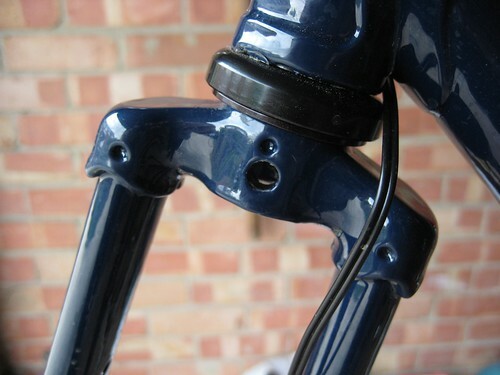 I've done that mod on a few old frames to fit dual pivots. I don't really have any nostalgic feelings towards single-pivots, not even the top-of-the-range campags that I used to think were great at the time. If the frame is a piece of history then maybe worth keeping it original, otherwise might as well modify it.